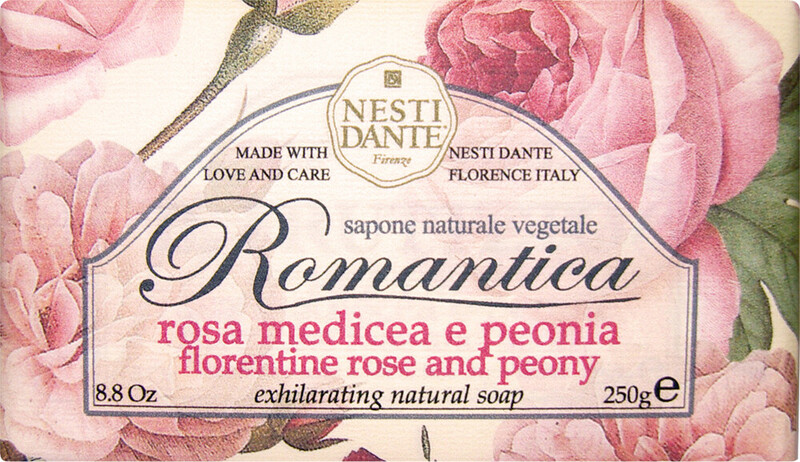 Nesti Dante Romantica Florentine Rose and Peony Soap 250g is rated 4.5 out of 5 by 2. Rated 4 out of 5 by phillydilly from Really good purchase. This product was value for money with a delicate aroma and rich lather. Rated 5 out of 5 by Maggie007 from NESTI DANTE ROMANTICA SOAPS Have used Nesti Dante soaps for some years and would not go back to 'ordinary' ones after sampling the delights of their long-lasting, lather rich and fragrantly perfumed soaps. I would highly recommend their products to anyone looking for a more luxurious toilet soap. Good value for money also.